This flashlight is compact(fits easily in your hand) and gives off light by pushing the button on the end of the flashlight. This is the flashlight used by professionals in the law enforcement fields, SWAT teams, Outdoor professionals and Campers. This flashlight works for anyone who needs a flashlight that fits in small areas and gives off brighter light than your average size flashlight. 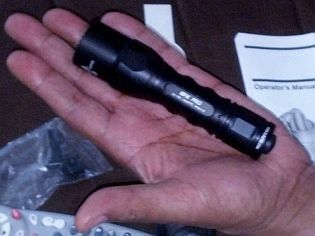 Unlike most flashlights it doesn't have side slide push controls or is cumbersome to hold. This flashlight has ergonomic hand grip carvings in the design. 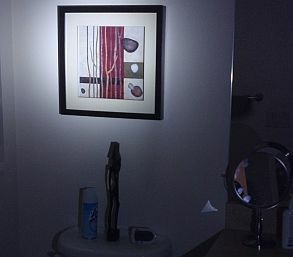 The picture, in this review, is a dark room illuminated at the lower lumens setting. The person was standing 7 feet away from the picture. You can use the lower setting for most tasks. If the flashlight is left on, accidentally on the lower lumens setting, it will run for 45 hours. If the flashlight is left on at the higher setting, it will run for 2.5 hours. At the time of this review, Amazon had the flashlight for 60.00 instead of the original price of 115 dollars. Check Amazon for specials. Also, Check Ebay and similar discount sites for deals but make sure it's the same flashlight. 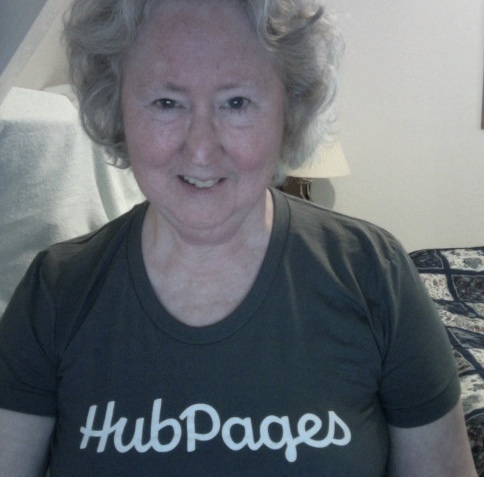 Verify authenticity with the seller and do a visual image check. I noticed that what appears to be a knock off of this flashlight was being sold by one vendor. If I were rich, I'd buy one. I like the size. Do you have o keep your hand on the button to keep it on? How firmly do you have to press the button? The flashlight i keep in my purse is larger and cheaper, but sometimes it goes on accidentally in my purse and I don't notice. Sometimes the top unscrews itself in there, too, and the batteries fall out. I think I'm hard on anything in my purse.